When St Catharines drivers’ wheels are properly aligned they all point in the same direction. When they are out of alignment, most ON drivers notice a couple of things. First the truck pulls to one side when driving. It could be slight or pretty severe. If your wheels have been out of alignment for a while, you’ll also start to see uneven tire wear – the shoulder on either the outside or inside of the tire is worn down more than the other. A whole bunch of steering and suspension components are joined together. Everyday St Catharines driving can cause St Catharines car owners’ wheels to go out of alignment over time just from the joints loosening up. That’s why most auto makers recommend an alignment check every couple of years. Depending on where you live in ON or the conditions you drive in (off-road driving, harsh St Catharines winter conditions, poor pavement, etc.) – an alignment inspection every year at Sharp’s Auto Center may be called for. Suspension and steering components wear over time as well which can lead to dangerous and costly alignment issues for St Catharines drivers. Of course, a big bump like hitting a curb or pothole can knock a wheel out of alignment or damage a a key steering or suspension part. Your courteous Sharp’s Auto Center service specialist will review your tires for uneven wear. The type of wear provides clues for what might be wrong. Undercar parts are inspected for wear and damage. The alignment machine will provide a reading of how each wheel is aligned. 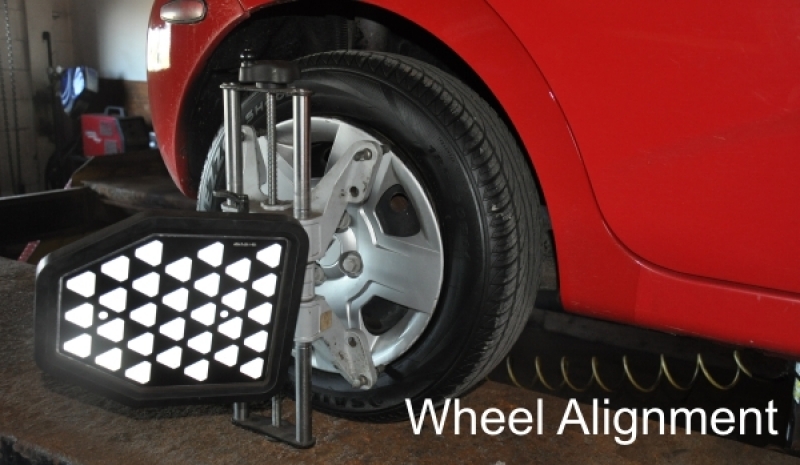 The reading is compared with the alignment settings recommended by the auto maker, and then the tech makes the necessary adjustments and repairs to bring your wheels back into alignment. 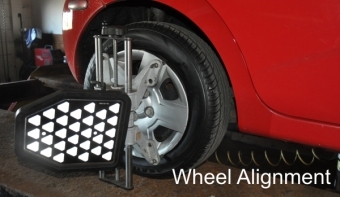 Now putting off a wheel alignment in St Catharines can get expensive for St Catharines auto owners because of tire wear: a bad alignment can chew through a tire pretty quickly. If you see uneven tire wear, if your steering wheel is off center, or your truck pulls to one side ask your courteous Sharp’s Auto Center technician about getting an alignment check.